KANSAS CITY, Mo.—The executive committee of the Kansas City Convention & Visitors Association (KCCVA) today announced the selection of industry veteran Ronnie Burt as its new president and chief executive officer. A seasoned sales and marketing executive with more than 23 years of hospitality and tourism industry experience, Burt currently serves as vice president of sales and services for Destination DC (DDC). As president and CEO, Burt will manage a staff of 40 and a budget of $10 million in efforts to attract visitors to the Kansas City region. In his role at DDC, Burt oversees a team of 25 people that include leading strategic sales and service efforts, housing and business development for the nation’s capital and its growing convention facilities, to include the new Washington Marriott Marquis. Burt’s responsibilities included maximizing the use of the Walter E. Washington Convention Center and the hotel inventory to create maximum economic impact to the District of Columbia and the surrounding region. Burt’s career with destination management organizations began in marketing at Caesars Hotel and Casino in Atlantic City. 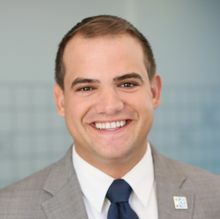 He joined the Atlantic City Convention and Visitors Authority as an intern and quickly ascended the ranks to National Sales Manager. He joined the Baltimore Area Convention & Visitors Association in 1999 as director of national accounts, eventually leading its sales efforts in the role as vice president of convention sales and services. In 2006, Burt served as the interim president and CEO, where he managed a staff of more than 50 employees and a $9 million budget. A graduate of Richard Stockton College in Pomona, N.J., Burt also earned an honorable discharge from the United States Navy. Burt is an active member of several professional industry associations, including the American Society of Association Executives (ASAE), Professional Convention Management Association (PCMA), National Coalition of Black Meeting Planners (NCBMP) and Meeting Professionals International (MPI), Destination Association Marketing International (DMAI). 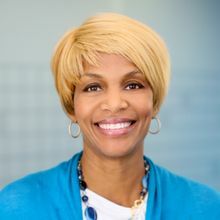 In addition to these industry associations, Burt has chaired the Morgan State Hospitality School Advisory Board and currently serves on AMPC Task Force of PCMA, Hospitality High School Advisory Board, DMAI Sales and Marketing Committee, Economic Impact Calculator Task Force and Customer Adoption Committee. Through Burt’s involvement in DMAI he launched the Large Market Roundtable. Burt volunteers his time and industry knowledge on the NCBMP Supplier Executive Committee. He also has previously sat on the Minorities in Hospitality Board in Indianapolis prior to relocating to Washington, DC. Burt will begin his new role on June 11. The KCCVA is a non-profit organization whose mission is to ignite global passion for visiting Kansas City. Through marketing, sales and service of the convention and tourism industries, the KCCVA supports a vital and growing component of the local economy—generating more than 45,000 jobs and $4.6 billion in economic impact annually. For more information about Kansas City, go to VisitKC.com.